This award honors Peter Courtois, who died in 1992 after serving as senior vice president of engineering for Dayton Superior Concrete Accessories (formerly Dayton-Richmond Corporation). Courtois, an employee of Dayton Superior for 32 years, immeasurably contributed to the Tilt-Up industry through his diligent effort and dedication to several industry associations. He served on seven ACI committees, most notably the ACI-551 Tilt-Up Construction Committee. In addition, he was a fellow of the American Society of Civil Engineers and served as the initial president of TCA, for which he was made an honorary member in 1991. Past recipients include: Robert Tobin, Dave Kelly, Dr. Koladi Kripanarayanan, Bill Lockwood, Sam Hodges, Bill Simpson, Murray Parker, Bob Truitt, Jesse Wyatt, Don Musser, Tom Collins, Hugh Brooks, Malcolm Davis and Gerry Miller. As one of the founding members of the TCA, Bob Foley served on the board of directors from 1986 to 1996 and was president of the association in 1988. 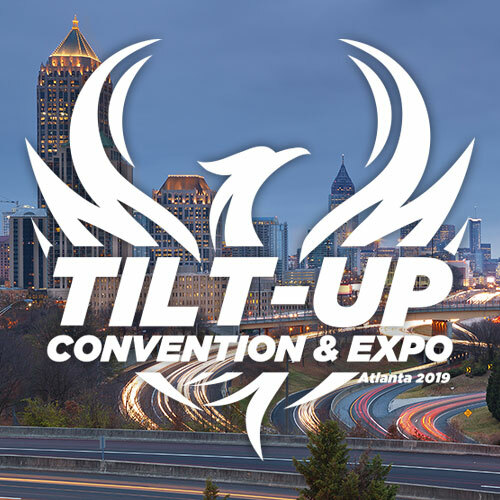 Prior to his retirement at the end of 2008, he served as president of CON/STEEL Tilt- Up Systems, an international network of general contractors licensed to perform Tilt-Up. During his 34-year tenure with CON/STEEL and its parent company, LJB, Inc., Foley was an active member of the Tilt-Up industry. A licensed professional engineer, he also served on ACI’s 551 Committee and is well known for his efforts to spread the word about the merits of Tilt-Up. In 2007, Concrete Construction named Foley one of the 10 Most Influential People in Concrete. Upon his retirement from CON/STEEL Tilt-Up Systems, he founded The Foley Group, LLC to assist manufacturers in the evaluation, testing and introduction of new products into the concrete industry. This award honors Robert Aiken – a founding father of Tilt-Up construction. Known for initiating a more architectural direction for Tilt-Up, Aiken is credited with the concept of casting panels face-up to provide a medium for developing craftsmanship in the construction method. Past recipients include: Accubrace Shoring, Elmer Payne (Dayton Richmond), Composite Technologies (Thermomass), Scott System, Victory Bear and Tilt-Con. This award was presented to Textured Coatings of America, Inc. in recognition of their innovative product, COOLWALL®. The TEX•COTE® COOLWALL® Coating Systems represent a revolutionary concept in exterior wall coatings. It is the second time Textured Coatings of America, Inc. has received this recognition, evidencing their continued pursuit of excellence for this industry. Specially formulated to reflect the sun’s heat, they can lower exterior wall surface temperatures by as much as 40 degrees when compared to traditional paints in many colors. Lower exterior temperatures mean lower interior temperatures. This paint system is a significant contributor to the energy performance of buildings and has the potential to greatly impact the sustainable characteristics of Tilt-Up construction. Named in honor of Murray Parker who died in 2000, this award was created to recognize a contractor who has significantly contributed to the Tilt-Up industry. Parker was regarded for his development and promotion of Tilt-Up throughout the industry, especially in the Atlantic Provinces region of Canada. As General Manager/ Vice President of B.D. Stevens, Ltd. in Dartmouth, Nova Scotia, Parker is credited with introducing Tilt-Up to an area of the world where many thought it was impossible to use the medium. His contributions and commitment to excellence helped the method gain credibility in the area and paved the way for future Tilt-Up projects. Past recipients include Tilt-Up Systems (S. Africa), Balch Enterprises, L.D. Clark, Citadel Contractors, Hughes General Contractors and Seretta Construction. 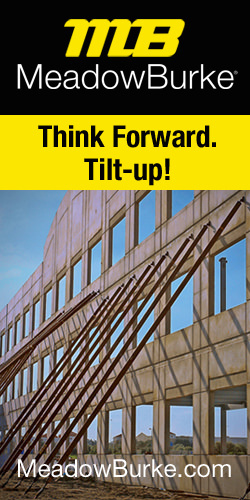 Steve Miers has been an avid supporter of the Tilt-Up industry and was a key factor in the growth of the system. Located in a market heavily dominated by precast, Miers instituted site cast Tilt-Up construction on a wide range of projects. In fact, he even acted as the developer on projects to prove the effectiveness of Tilt-Up. He conquered projects of all sizes and shapes, ranging from mini-storage warehouses and private residences to entertainment centers and industrial projects. He helped shape Tilt-Up for the Midwest and redefined the concepts of Tilt-Up applications for many throughout the country. Miers assisted many start-up contractors and offered his expertise on challenging projects across the country. The TCA’s Distinguished Architect Award is named in honor of Irving J. Gill. Early in the history of concrete construction, Gill—a prominent architect in Southern California— designed and constructed a house in Hollywood employing Aiken’s method for Tilt-Up in 1912. This led Gill to purchase the patent rights of the bankrupt Aiken Reinforced Concrete Company forming his own Concrete Building and Investment Company. Without the architectural mindset of Gill, the industry may very well have taken a much slower time to rise to its current dominance. His crowning Tilt-Up achievement remains as one of the great early examples of modern concrete, the La Jolla Women’s Club. Past recipients include RMW architecture, Intergroup Architects, Kovert Hawkins Architects, The Haskell Company, Powers Brown Architecture and Kenneth R. Carlson, Architect – P.A. The TCA’s Distinguished Engineer Award was renamed in 2008 to honor the career-long commitment by David Kelly of Meadow Burke to the Tilt-Up industry. Kelly retired from Meadow Burke as Vice President and Chief Engineer. He was a longtime board member and past president of the TCA. His innovative and creative engineering ideas led to the construction of hundreds of Tilt-Up projects.